COWAL: The family of Kingfishers on the River Eachaig have now fledged. Also a Green Woodpecker heard and seen in the area (nr Benmore gardens) last Thurs 7th Jun and a few days before that as well (Alistair McGregor). TIREE: A Little Stint was at Gott Bay (Keith Gillon). 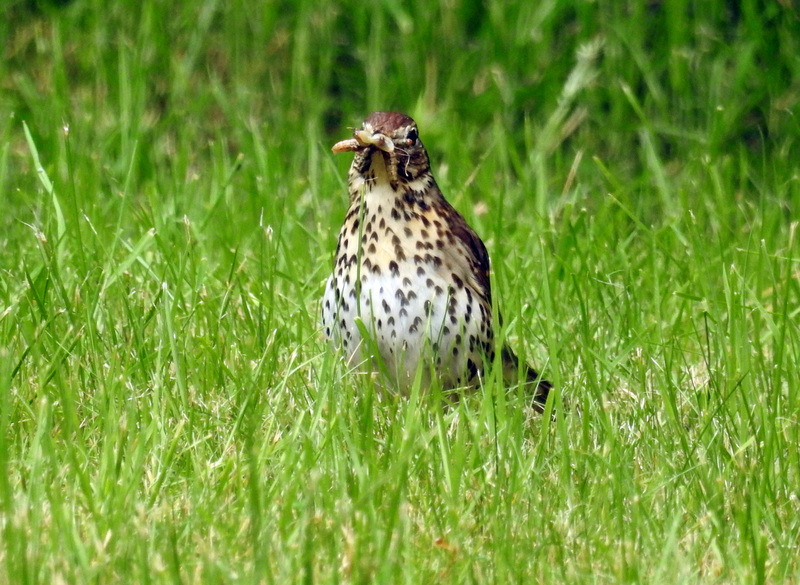 SONG THRUSH – Benmore Gardens, Cowal 10th Jun (Jim Dickson).